Too many options available in Pakistan if someone with a car wants to earn, we explain step by step with detail of each and every way of how to earn money with car in Pakistan. There is a number of platforms a car owner can use to earn money, but the safest among them are Careem and Uber. However other options are, ghari pk and Sahulat Say Chalo, all these is similar to Careem and Uber but not as popular as they are. Let’s start with Careem and Uber. How much a person can earn from Careem and Uber? Approximately 50,000 to 60,000 Pak rupees per month minus all expenses after full time 10 to 12 working hours. How to join as a captain? Go to a Careem website download Careem APP Sign up to become as a captain, input all data required as stated below, a verification code will be received as a confirmation on the phone given by the signee. Reference must be needed of already been as a captain of Careem. Careem will contact you soon to join as a captain after certain procedures and follow ups. How to become a part of Careem as investor (Supplier)? If anyone wants to become a supplier and be a part of Careem, then he/she has to provide vehicle original registration. All these above detail will be required for the car owner to become a Careem partner. How to Become a Captain? In case of independent owner, all above documents in the suppliers section will also be required as well. Driving license, National ID, current address verification required, Drug test and others as required by the Careem. Inspection of the car from referred insure company. Reviewing all data and information. Upon completion, you can immediately start riding and earn money. No need of car insurance to become as a captain. Multiple vehicles can be joined by one owner, but different captains. Payment will be made weekly, collection of amount set by captain or Supplier via direct debit or by cash from Careem office. Uber eligibility requirement, process for driver screening almost same as Careem. However the cars category and scheme offers to the captain do have changes which will be discussed. Other requirement in case of Tezz and other specific requirements for cars in the section of UberGO and Uber Autos. 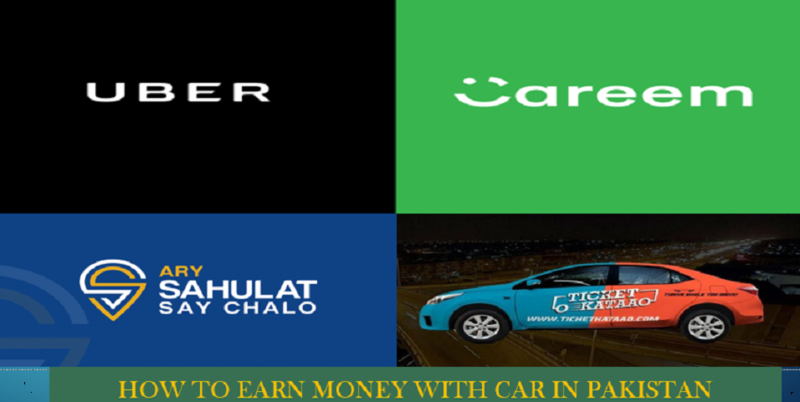 Careem pay rate based on each vehicle and location, Go fare rates are lower than Go Plus similarly Business fare are more than all platform, the more the rate the more earning, in addition earning also depends on total hours worked, promotion utilization and the last vehicle class category. Similar to Careem in terms of app, service quality, the only difference is the car options availability. ü Cars model year 2001 or newer qualify to drive with UberGO. All other companies similar like above? Gaari Pakistan is also as similar to Uber and Careem, currently cover only Islamabad and their surrounding areas. Easy Registration – Either use your social media account or email to register for your services fast. Address Pickup – Your car at your preferred address. Nothing more, nothing less. Ride Now – Get your car Asap and reach your destination on time. No more waiting. Corporate Services – Companies can also make use of Gaari Pakistan’s customized business plans. Available on iOS and Android – Your platform. Your application. Available on the web too – For those who don’t want to use the app. Manual Dispatch –You can now book a ride without an internet connection or even without a smart phone, just contact our call center and share your location and our partner will be there. Wi-Fi enabled cars- All the executive vehicles are Wi-Fi enabled. ETA and Live Tracking – Know how long your ride is going to take. Gaari Paisa – Top up your credit with their in-app wallet feature. Supported by all credit cards. Also allows you to share credit with other Gaari PK users. Budget offer: 2007 to 2017 660cc Japanese, Wagon R and New Cultus Only. Executive Offer: 2005 to 2011 All Sedans. Executive Plus: 2012 to 2018 All Sedans. To get further information click here. Ghaari Pakistan. ARY Sahulat Say Chalo just started in the end of Dec 2017, only covering Karachi so far, offering to the drivers or called in Ary Sahulat say Chalo as an entrepreneur (small, Sedan and Rickshaw). Click Sahulat Say Chalo for further Info. Another option for the car owner to make money round about 25 to 30 thousands rupees with just advertising on car while riding. A company called ticket kataao offers to the vehicles owner to place an ad on a car and earn money, the more the vehicle travel the more the rider can earn money. Anyone can earn that money, Uber and Careem restricted to the riders to place no ad on the cars therefore only private taxi drivers can benefit from them with just placing add. To get further info click here. Ticket Kataao.